These days, efficiency and affordability are at the forefront of homeowners minds when it comes to keeping their homes comfortable. If you are serious about boosting the efficiency with which you do so, particularly in terms of heating, then we have a suggestion for you. Opt for a ductless mini split system in Hanford, CA. Ductless mini splits are among the most efficient of all residential HVAC options. We’ve talked about the benefits of ductless heating in particular previously, and there are many to consider. Today, we want to focus in on the economical benefits of using a ductless mini split system. Keep the following information in mind, and remember to schedule service with us if you decide that it is time to take ductwork out of your home comfort equation. Our nighttime temperatures are still pretty chilly, but days are going to be hitting the 60’s pretty regularly in the weeks ahead. The heating season is definitely not over yet, but we’ll be back to warmer, more comfortable weather before long. Now is a good time to start thinking about replacing your heater if you are not convinced that your existing system has another season of service left in it. The two main types of heating that homeowners today are looking at are forced air and radiant heating systems. Both have their pros and their cons. Keep the following information in mind, and always schedule your heating services in Kingsburg, CA with our team. How Do Heat Pumps Heat Homes? We live in an area that does not experience the incredibly cold weather that Minnesota or Vermont do. That doesn’t mean that you don’t have to worry about heating your home effectively, though. Just because we don’t have to put up with temperatures regularly falling below zero doesn’t mean the chill of the winter does not affect us. It does mean that we live in an area particularly well suited to the use of a heat pump, though. If you haven’t given much thought to using a heat pump in Madera, CA, you should fix that. Thanks to the unique method of heating that they employ, they can offer some truly great benefits. Posted in Heating | Comments Off on How Do Heat Pumps Heat Homes? Living in California does not mean that you do not have to worry about your heating system. Yes, today’s heaters are very effective and quite reliable. No mechanical system, however, is going to be completely immune to operational problems. Your heater is included here. You may not be able to completely avoid problems with your heater, but you can limit the issues that this particular heater leads to. The key to doing so is to spot signs of trouble early on. 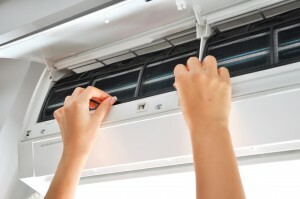 Here are a few indicators that you may need heating repairs in Fresno, CA. The Age Old Debate: Gas or Electric Furnace? Ah, yes, that is the question. Homeowners investing in a new heating system obviously want to ensure that they not only get a great heating system and that that system is expertly installed and serviced. They also want to know for sure that they’ve chosen the right heater for their personal user preferences to start with. That is why we recommend that you seek the counsel of trained professionals when choosing your furnace in Fresno, CA. Our team will guide you in the right direction. Here are a few points of consideration to keep in mind. Posted in Heating | Comments Off on The Age Old Debate: Gas or Electric Furnace?